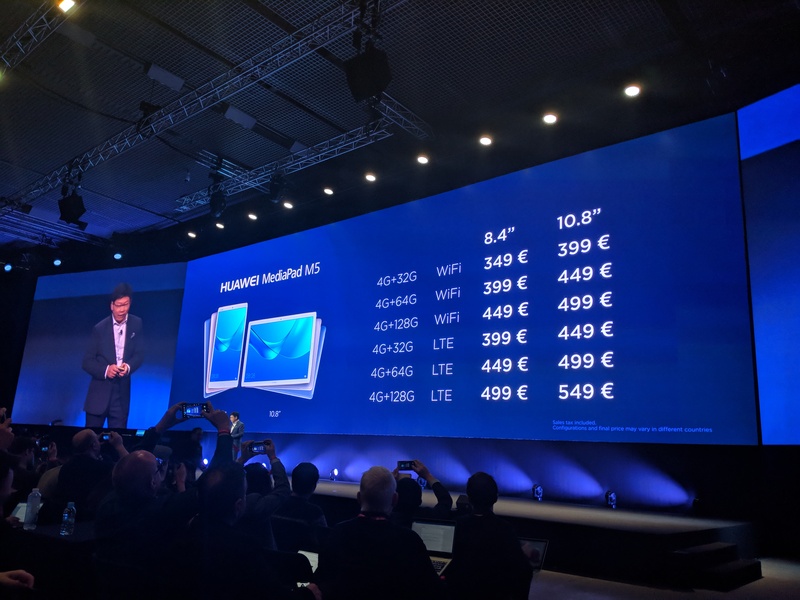 There is a third version, too, the 10.8-inch MediaPad M5 Pro, which features the exact same specs as the regular 10.8-inch M5, but with added support for Huawei’s M-Pen. As the company stressed during a briefing ahead of the event, the pen features 4096 levels of pressure sensitivity and support for tilting and shading. The Pro will also support a detachable keyboard. The M5s will start shipping in March and will be available in most European countries, as well as the U.S.